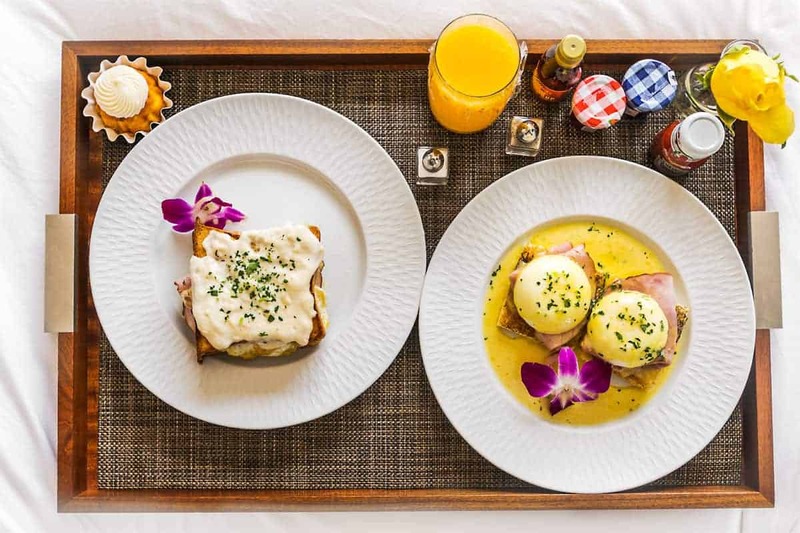 Our arrival at the exclusive The Clement Hotel was warm and exceptional. 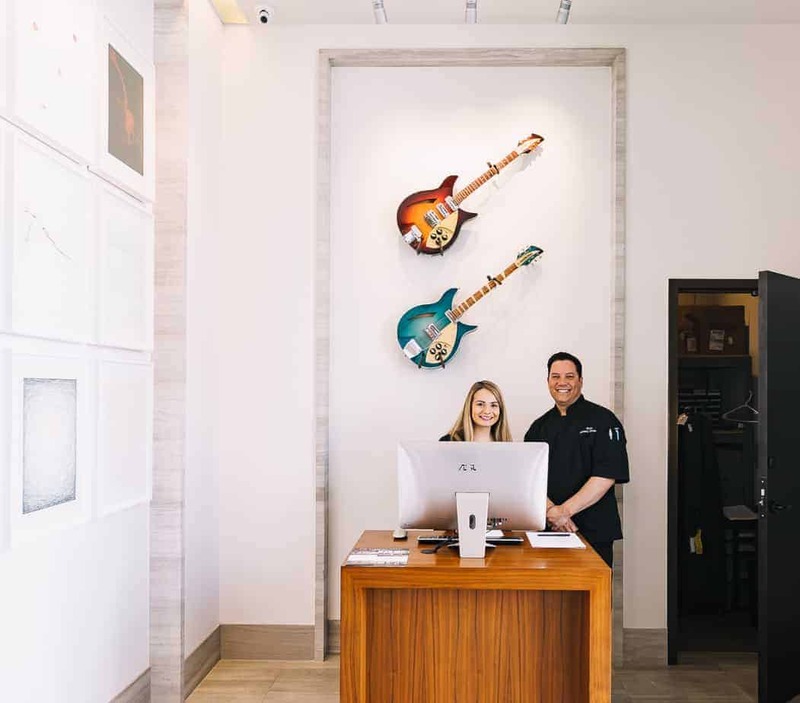 We were greeted and checked in on an iPad by our personal concierge as we sank into the living room leather; he invited us for an escorted tour of the hotel while our bags were taken up, and pointed out the curated art pieces. 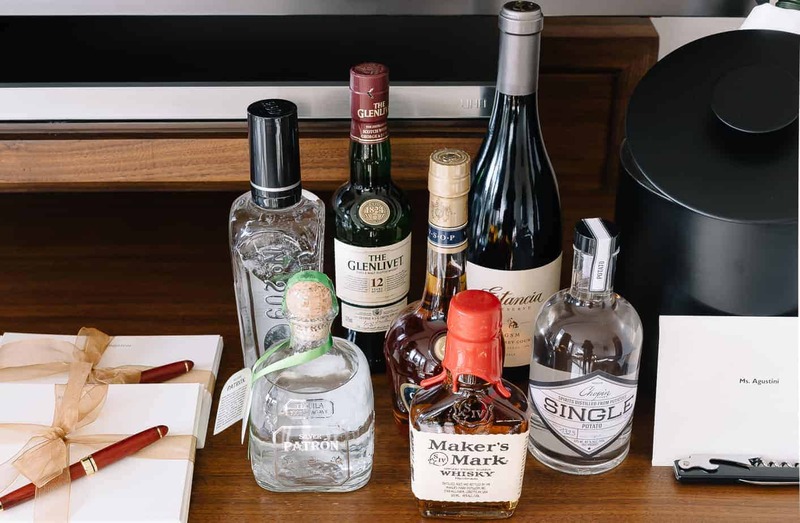 Guests are sent a survey prior to arrival to specify all needs and wishes during their stay, and he asked us if there was anything we hadn’t mentioned in the survey that we desired before we were brought to our rooms. 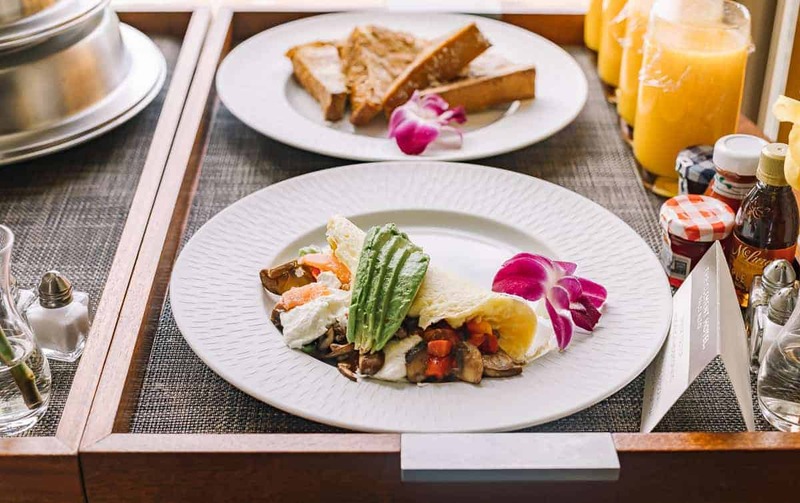 This is all-inclusive sophisticated luxury, and they prepare for guests as honored dignitaries to make your stay both memorable and effortless. It feels less like a hotel and more like a private accommodation with personal assistants. 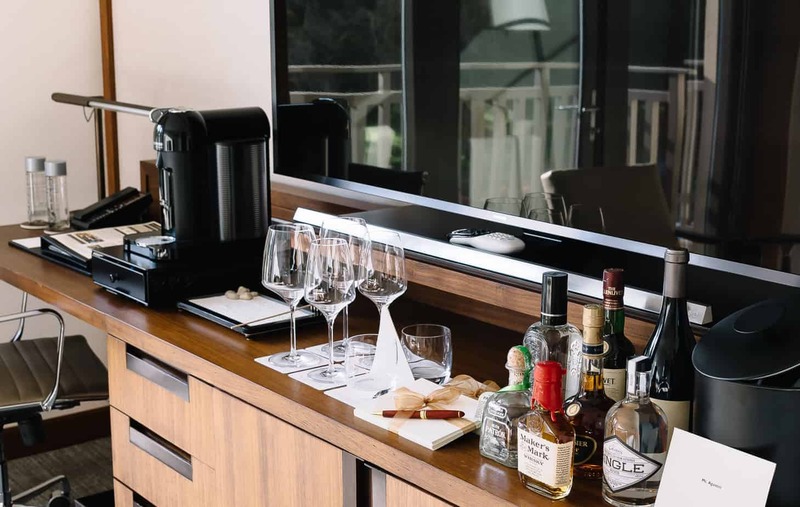 We found the room stocked with the Patron and Glenlivet I’d requested, as well as fruit and chocolate and other snacks for the kids near the Nespresso machine and spacious refrigerator. My balcony overlooked the pristine Stanford University Arboretum, and the room was personalized with a welcome message and my own monogramed stationery. In our room were two 65” Samsung IPTVs, and there was another television in the mirror of the flawless stonelined bathroom, to watch while stretching out in the large soaking tub across from the shower, remote heated toilet, and bidet. 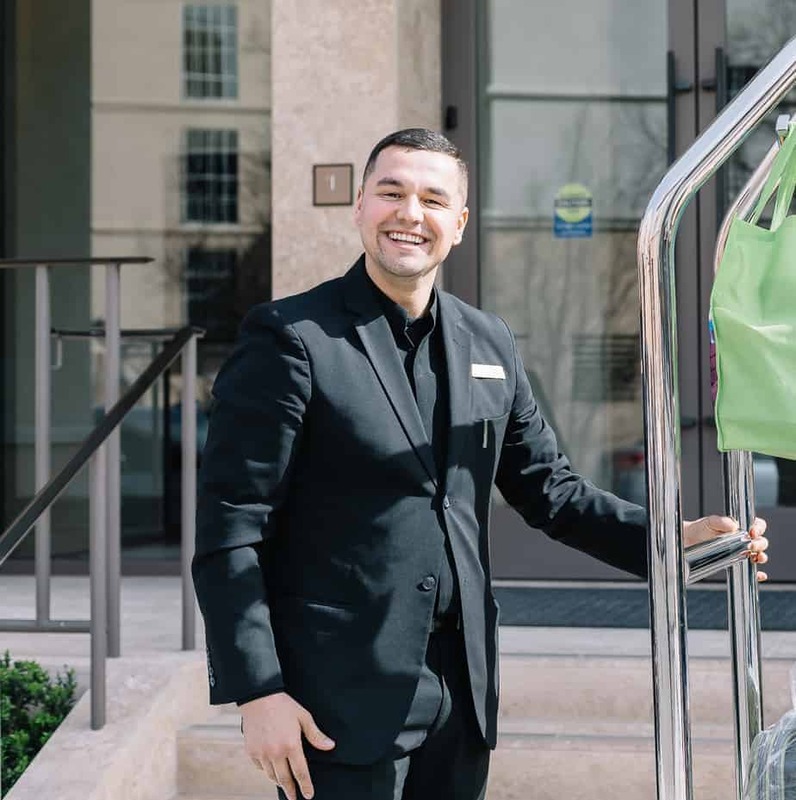 Housekeeping comes twice a day to keep the rooms gleaming and to deliver fresh Matouk linens, Frette towels & robes, and 80 Acres lotions and bath products, my new addiction for soft and great-smelling skin, made with McEvoy Ranch olive oil. 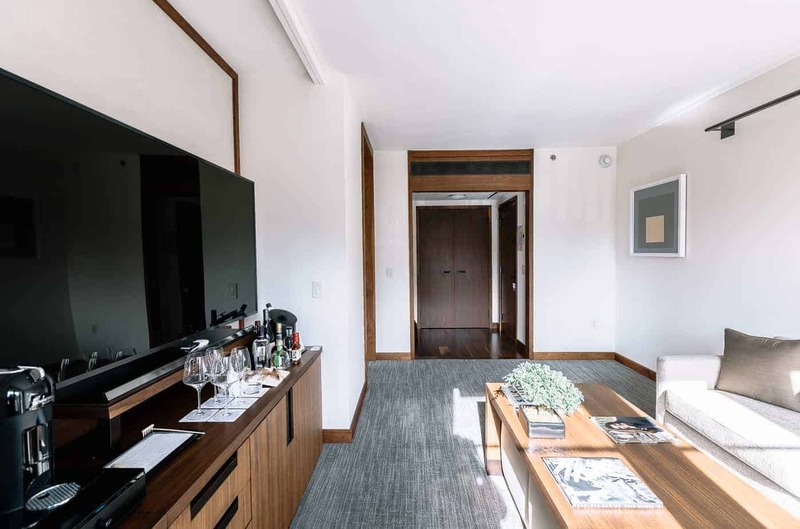 Within easy reach of the Silicon Valley tech district, business travelers will be comfortable and connected with all the up-to-minute services, and can make the space their own, and host colleagues in the Jury; the on-site fully equipped boardroom, or invite them to dine ensuite. 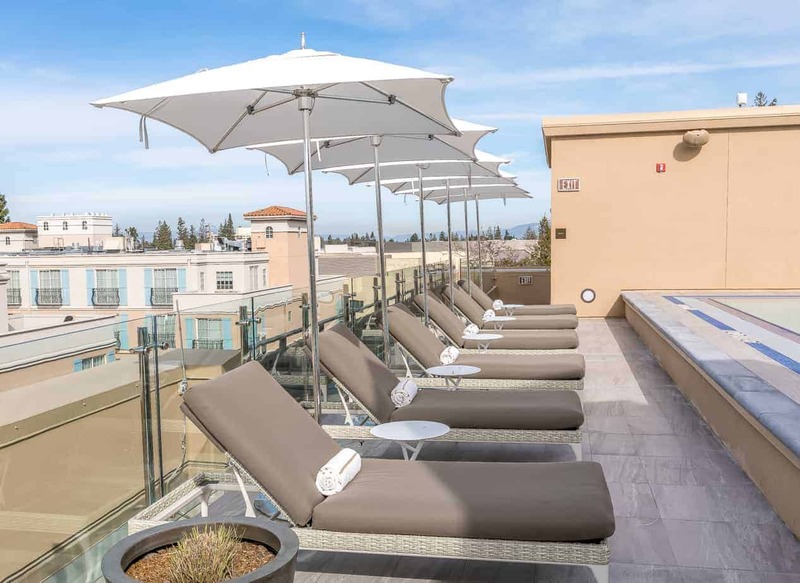 The location is also perfect for those exploring Palo Alto, with numerous restaurants, and shopping a couple minute’s-walk away, as well as the landmark Stanford University. The concierge lifestyle is what makes this relaxing and deluxe accommodation second to none. 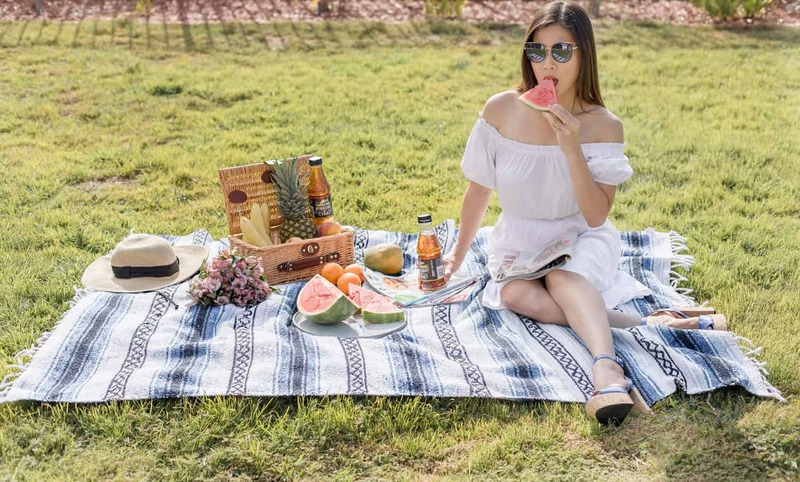 Your personal assistant will see to every last detail; service is beyond the expected; they can organize a surprise outing for your family, arrange a personal shopper to dress you for your grand night out, and make sure you are pampered at every turn. If there’s anything you forgot, or didn’t realize you wanted until after you’ve arrived, they will make it happen; Kyle offered to run to the market for us one evening so the chef could make us a special dish when we had a craving, and when I woke up early and wanted to jog before breakfast; I was handed a pocket jogging map with a route tailoring the jog through the Stanford sculpture garden and the Arboretum Grove within the time I’d indicated. 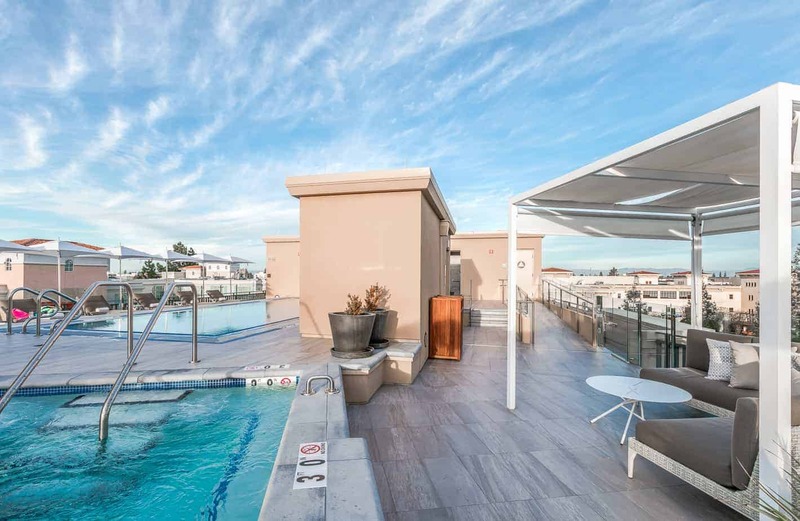 Warm textures and elegantly designed spaces surround guests in every part of The Clement Hotel, from the dining room to the private fitness center, to the private heated rooftop deck with heated pool, expansive hot tub, and firepit cabanas. 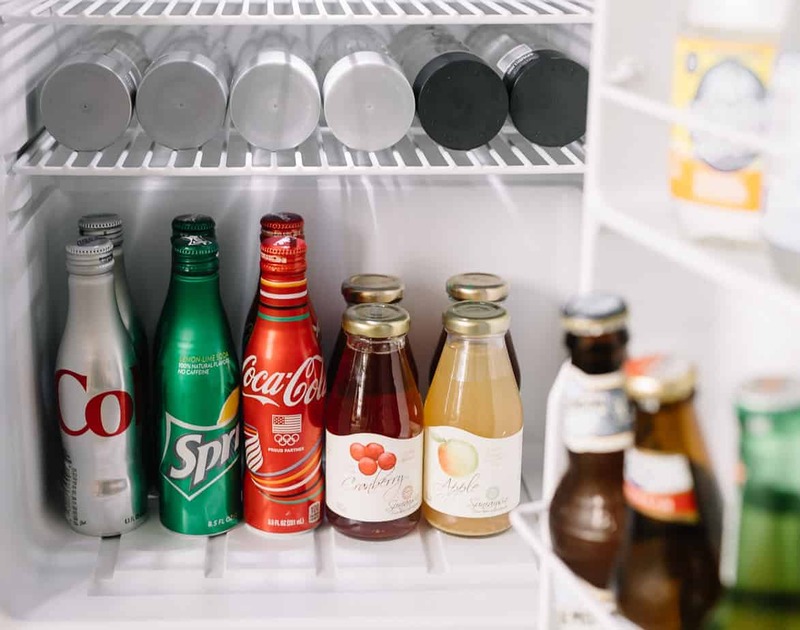 When we headed up to the rooftop pool to relax, we found personal bottles of sunscreen, sunglasses, and snacks waiting for us; we had exquisite drinks and food sent up from the chef. Dining is luscious and unending. We talked about our favorite dishes in our survey, and Chef Philip Pagan offered to make me my grandmother’s recipe! But we couldn’t resist the daily specials; Pagan is an artist and creator of succulent, unforgettable dishes. 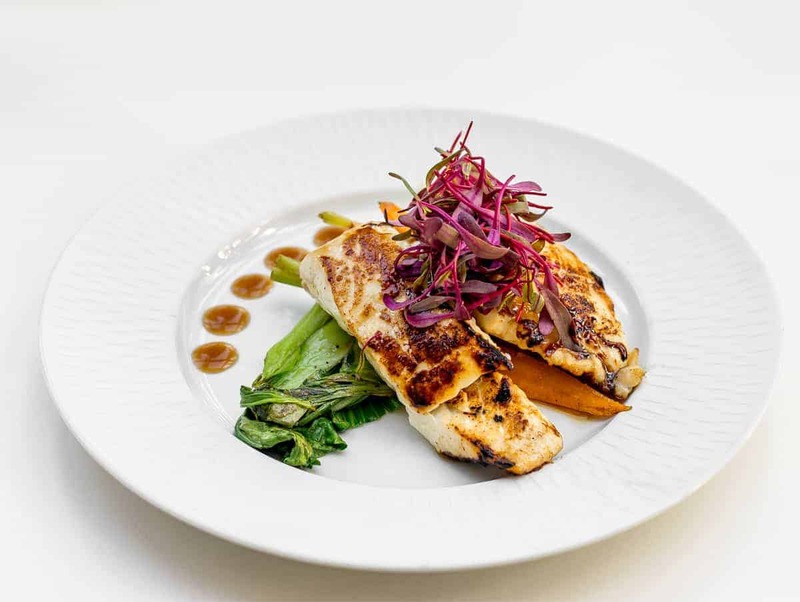 The menu is exquisite and changes to reflect the seasons and the artistry of the chef, highlighting the fresh, organic, and locally sourced ingredients brought in every day. 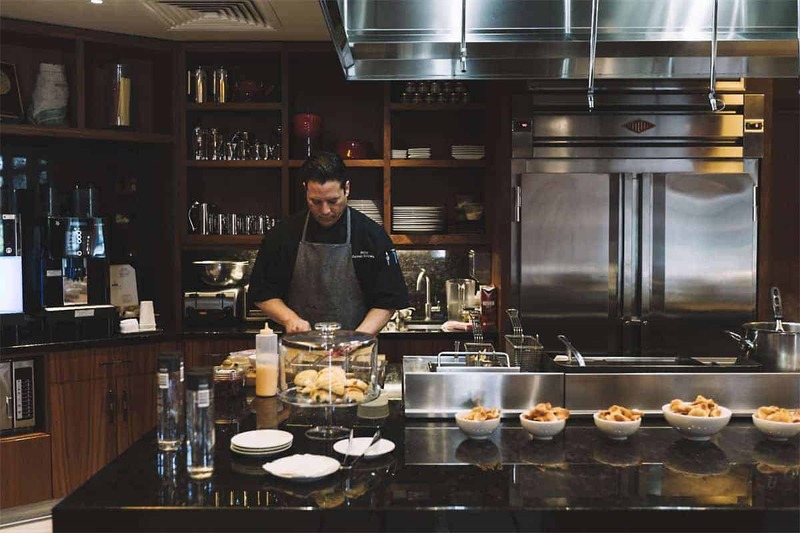 With the conceptual Open Kitchen, you can not only watch your meal being prepared, you can also hang out and chat with the chef, or cook alongside him. Pagan is from Hawaii, and loves cooking with Hawaiian, Cuban, and Asian influences, but will make you whatever you desire and can indulge any guest within the confines of their restricted diet. 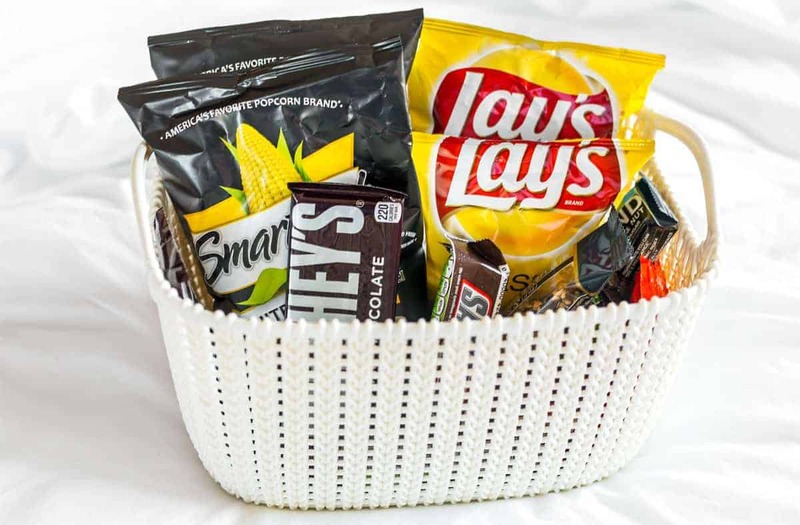 When we knew we’d arrive back late, he asked if we wanted him to make something in advance to be brought to us at our arrival; but we took the opportunity to raid the pantry,which is always stocked and open to guests, to the delight of the midnight snackers and those who want to try out the communal guest kitchen. Poke Nachos. 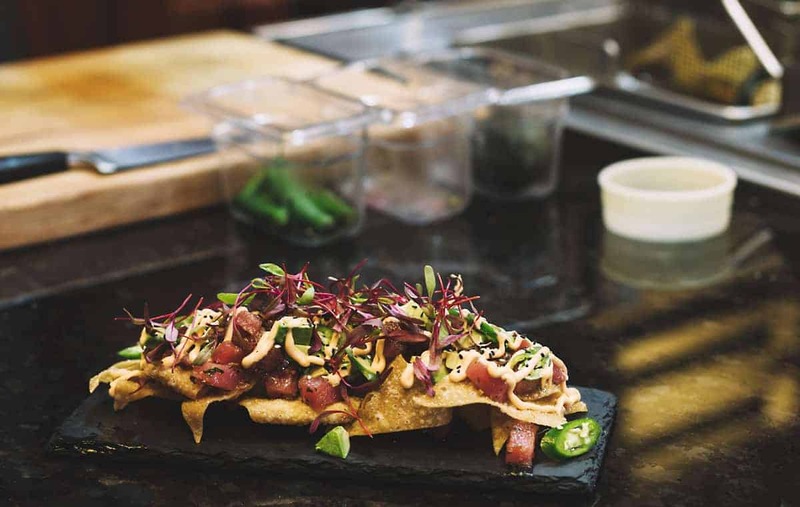 Marinated Raw Ahi, Avocado, Cilantro, Serrano, Wake, Sriracha Aioli and Crispy Wontons. Jumbo Lump Crab Cake. 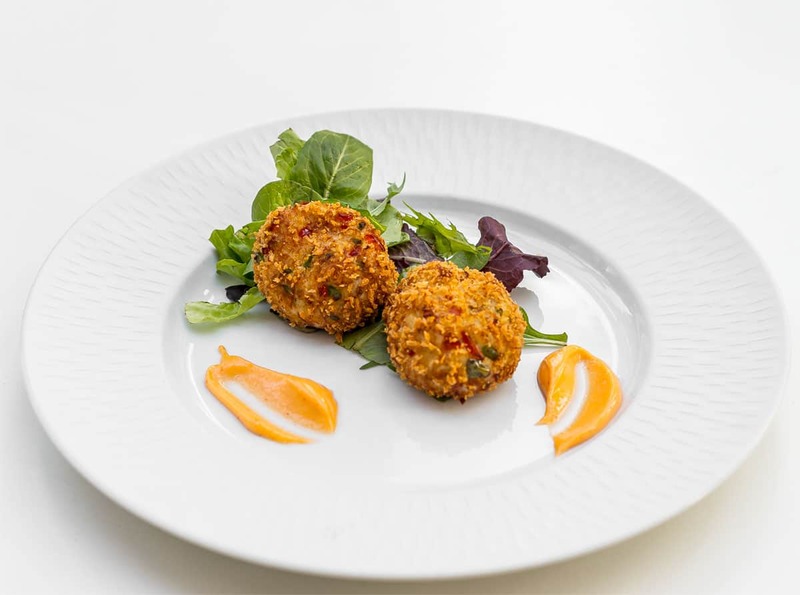 Crab cakes with Red Bell Pepper and Sriracha Aoli. Market Fresh White Fish. Miso Glazed Market Fish Filet, Bok Choy and Sauteed Market Greens. 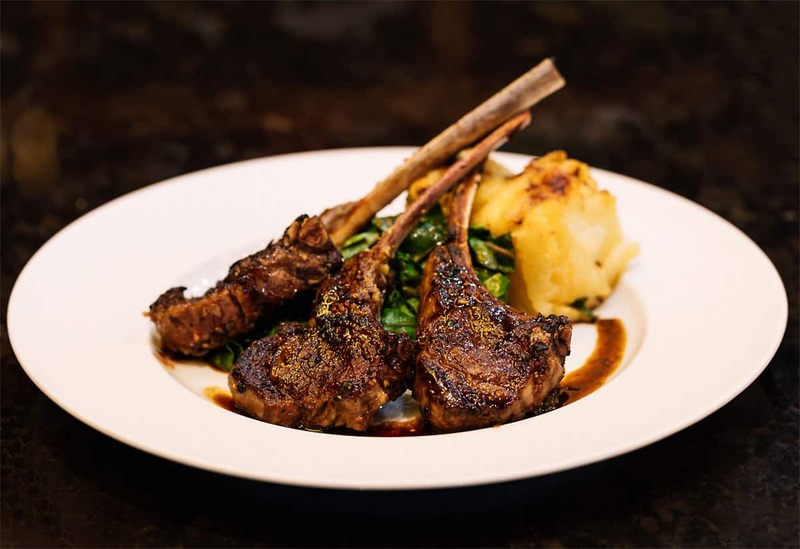 Roasted Rack of Lamb. 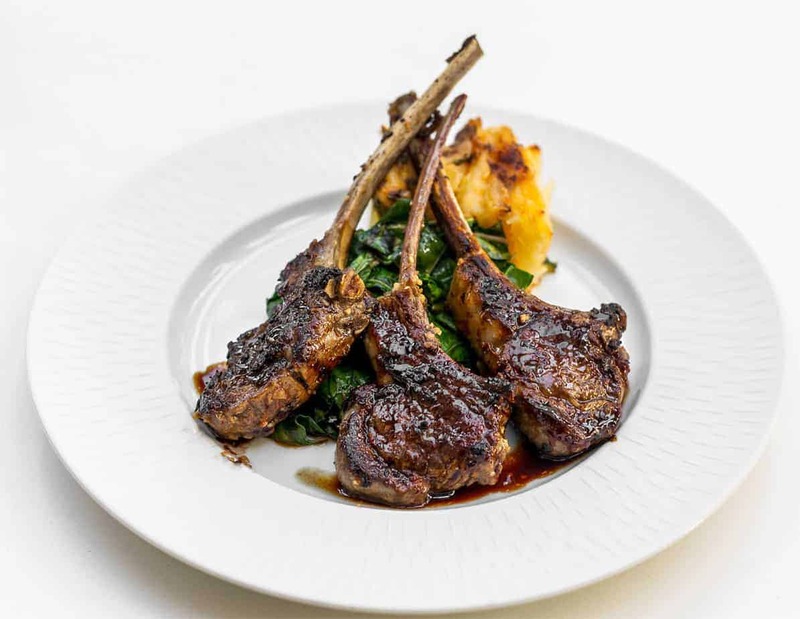 Australian Rack of Lamb, Pomegranate Juice Reduction, Sauteed Swiss Chard served with Creamy Potato Gratin. 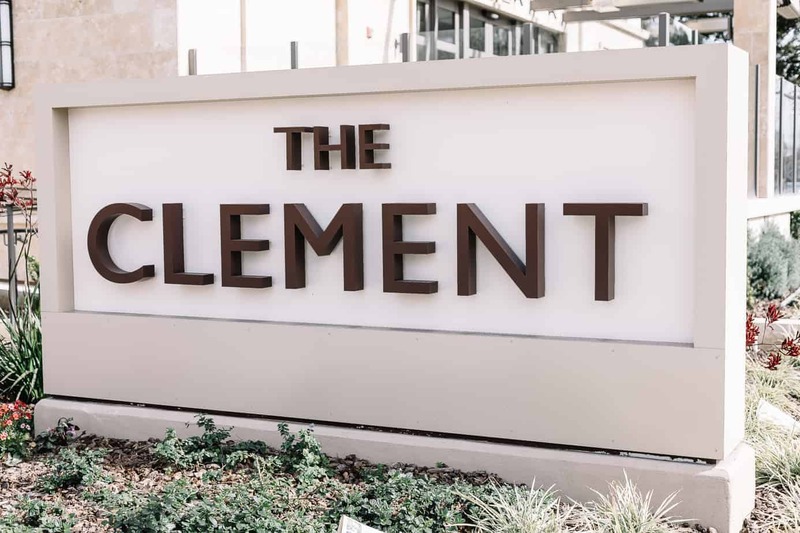 The Clement is modern refinement in a convenient, luxury setting. 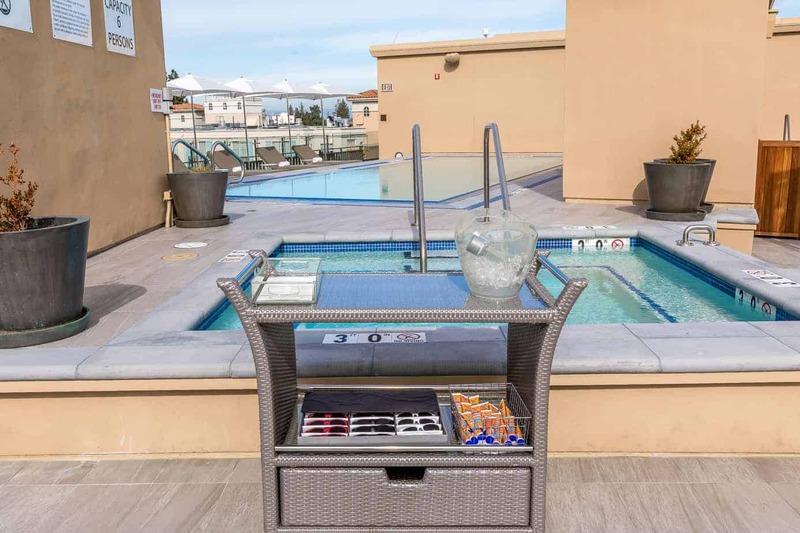 Whether you are in town for a college search, business, shopping, or a just a quick getaway, you will love the personalized service and relaxing and deluxe accommodations of this top class stay. Oh my gosh, that hotel is one step above the rest. I can’t believe how posh it is. I would love to stay there. This hotel looks perfect for me and my wife. She’ll be in love with that tub, and I’ll be stuffing my face with that food! Wow! The Clement Hotel looks beautiful! I would so stay there for a week! The food looks amazing! HOLY MOLY! I am all about amenities! This hotel has IT ALL! 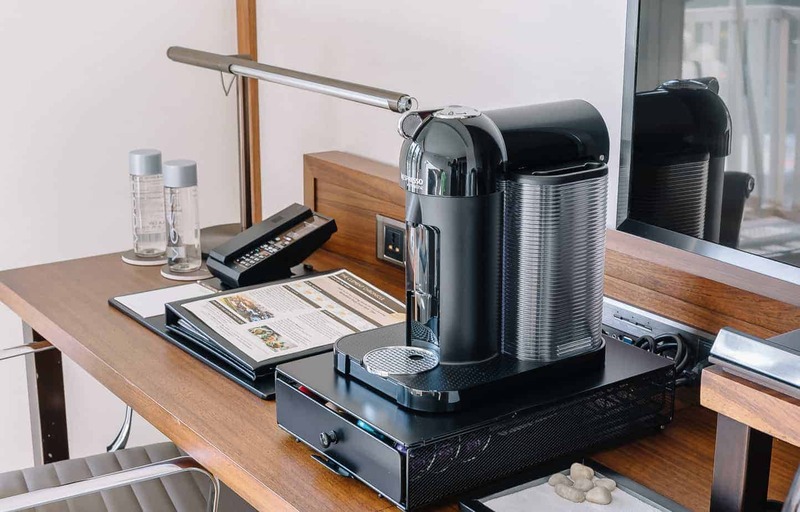 You had me with the first image but then I saw the in room bar and coffee maker! YES PLEASE! Wow! 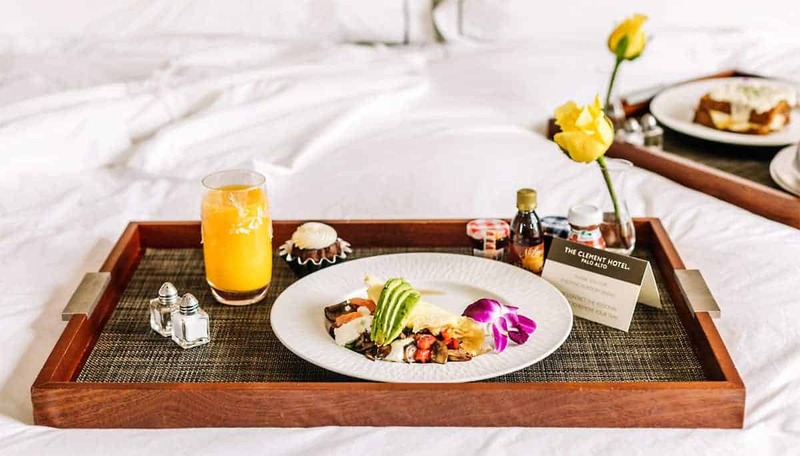 That is some fine looking food and the hotel looks ++++! I love the pool area too! I want to go! 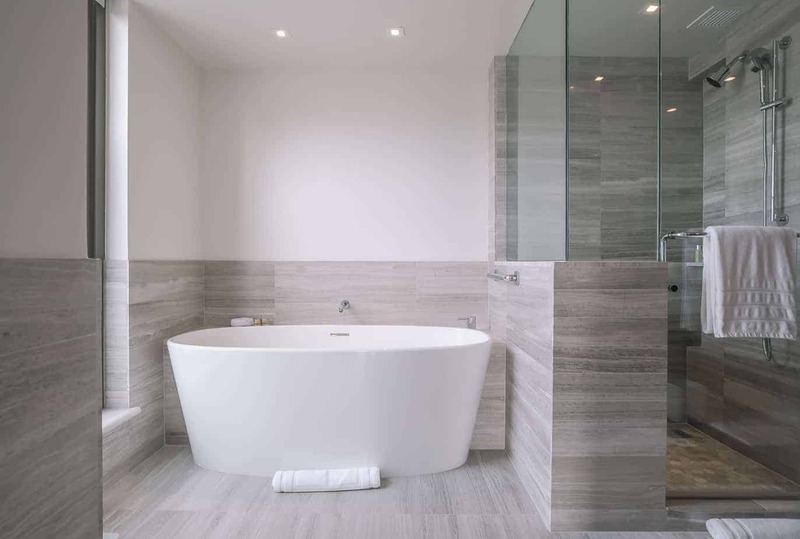 I just want to jump in that bath tub and have a relaxing time! This place is beyond luxurious… looks so beautiful! What a beautiful hotel. The room is so nice as well as the bathroom. That hotel is a nice place to relax! I love their staff are friendly and the food looks satisfying! Wow, what a beautiful place! I would love to stay there. All the food looks so amazing too. This sounds like an amazing hotel to visit. I love all of the pictures you shared! The hotel looks amazing and comfortable. I would love to stay there. Wow, I am also impressed with the food. My boys would love the pool too. That place looks like heaven! I wish I could tap my heals and be there right now! I bet you felt so relaxed when you got back to realty. All I can say is wow! AND…..wow! Must be there soon! What a great place! 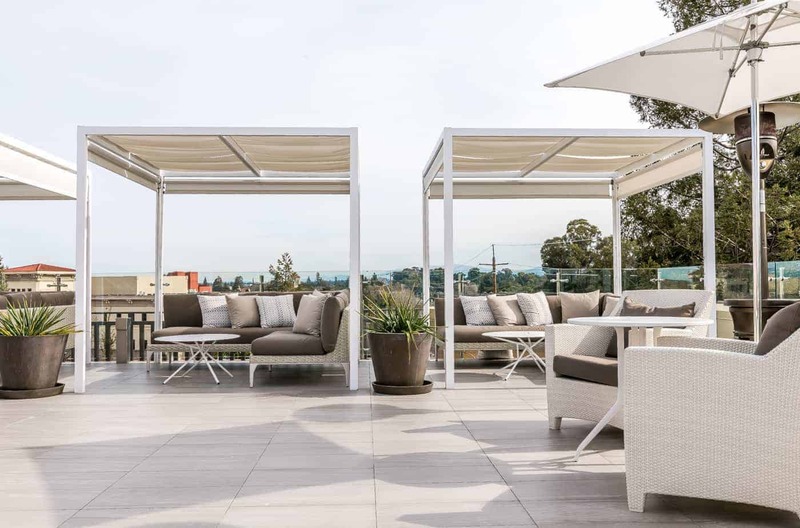 The Clement Hotel is an all-inclusive boutique hotel in downtown Palo Alto that features tailored service and a convenient. 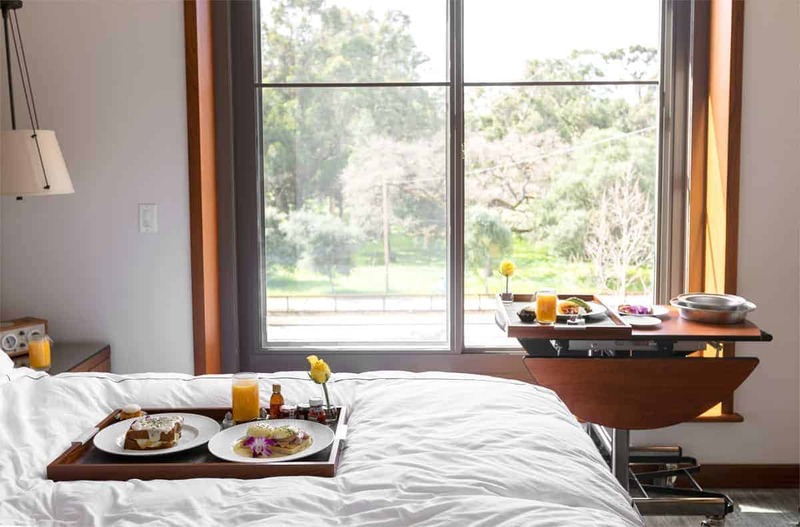 After a really rough month, I would love to stay at the Clement Hotel. It is so beautiful and you are treated like royalty! That bathtub looks glorious. I am booking a trip right now! NO where else I’d rather be spoiled at than here. We’ll be in Cali this fall, maybe even here.